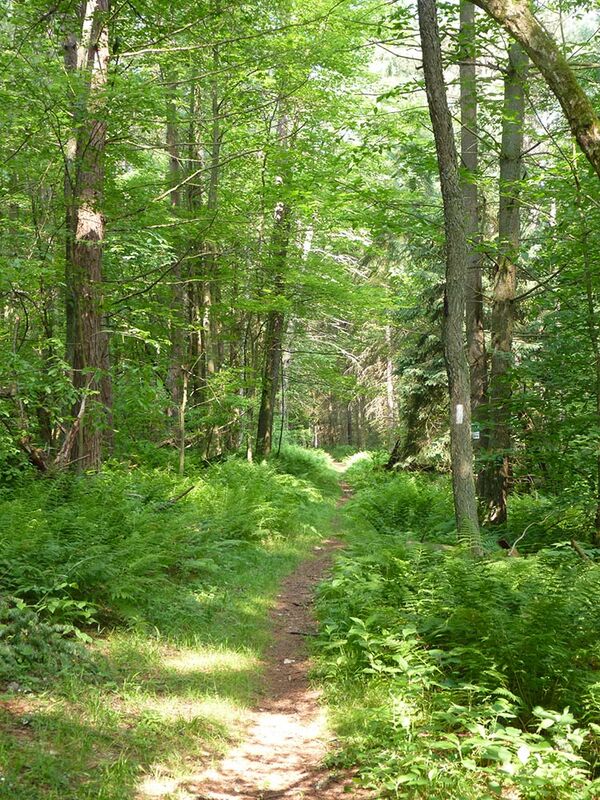 Sometimes, when we are hiking on a trail, we are in a hurry to get somewhere–that far off vantage point, that mile marker on the map, or just seeing what is over the next horizon. I remember hiking with some friends who regularly backpacked; they were so intent on speeding through the woods to their goal and putting the miles behind them that they left me behind at multiple points as I got off the trail to explore something. This “speeding towards a goal” is, perhaps, part of who we are as humans, and certainly, a product of Western Civilization, which is so growth and progress oriented. Even with our spiritual practice, we can be so intent on focusing on a goal (that next grade or degree, for example) that we forget about the journey itself. On this trail, the day I took this photo, my intuition told me to pause and turn around. I stopped, turned around, and there on the opposite side of the tree was a beautiful specimen of my favorite mushroom, Chicken of the Woods. Had I kept on going in the direction, I never would have seen the mushroom, and I would have missed my dinner. All it took was choosing to look behind me that allowed me to find it! The Spring Equinox offers us one of two “balance” moments in the wheel of the year, where the light and dark are in balance, where we sit between the threshold of the dark half of the year (what is behind us) and the light half of the year (what is in front of us). As a balance point, but also as a time of year that is “gaining” energy, I find that the Spring Equinox is my favorite time of the year for a pause, a chance to stop on our trail, and simply taking in where we’ve been and taking a chance to think about where we are heading next. So in this post, I’m going to detail an activity (that you can ritualized, as I do) to take that moment of pause and reflect back on your spiritual journey, and what’s to come. Reflection is when we consider, ponder, and look back upon things we previously experienced. Reflection helps us understand where we’ve come from, and helps us, to some extent, figure out where we are going next. Just like many of our sacred holidays in the druid tradition allow us to “pause” and experience the moment in time, so too does doing this kind of reflective work for our own spirituality Reflection is a critical component of any spiritual practice; it helps us grow deeper and more intentionally. Some reflective practices simply reviewing what has come before–while others encourage goal setting or envisioning the future to come. Reflection can be done in a multitude of ways: through spiritual journaling, through mediation, through sharing stories with others. All of the following activities are “ritualized” ways of reflection; that is, they are engaging in reflection as a sacred activity, part of ritual and certainly, part of spiritual life. This first ritual is a way to reflect upon your journey–it is meant to be a solitary ritual. I’ve done this ritual for a number of years (not every year, but usually every other year) and it is a very powerful experience. Budget at least an hour or two for the ritual itself–it can sometimes take time to reflect. Materials for Reflection and Your Journey. To do this ritual, you’ll need to gather up any spiritual journals or notes that you have. If you belong to a druid order like OBOD or AODA, you might also want to get any end-of-coursework reflections that you wrote. For the ritual, it will be helpful if you put these journals in chronological order (especially if you have a lot of them! If you are starting out, you may only have one, and that’s fine too!) Additionally, gather up items of spiritual significance to you. You don’t need everything here, but think about highlights–these could be items that helped mark the start of your journey or helped you on the path. They may be new or old. Bring them into your ritual space. Rosemary tea or springs of fresh rosemary. Rosemary is a powerful herb that helps us with remembrance; it is a very useful plant spirit ally to use in this ritual. I suggest preparing some rosemary tea (place about 1 tbsp of rosemary (dried or fresh) in 1-2 cups boiling water, let seep for 5 min, and then add honey or sugar). Alternatively, you can use a rosemary incense or have fresh sprigs of rosemary nearby. You can easily obtain this even at a grocery store, and the ritual is much better with Rosemary as an ally! Other Objects: Elements, etc. Prepare an altar with the elements and/or representations of any other energies or spirits/beings/deities that you work with. You want anyone or anything that has been with you on this journey to join you for this work. A Journal/Paper and a Pen: For writing as part of the ceremony. Spiritual Cleansing: I strongly suggest before doing the ritual itself, you do some kind of cleansing. Smudging yourself with rosemary and sage smoke, taking a ritual bath, and so on, are all possibilities here. 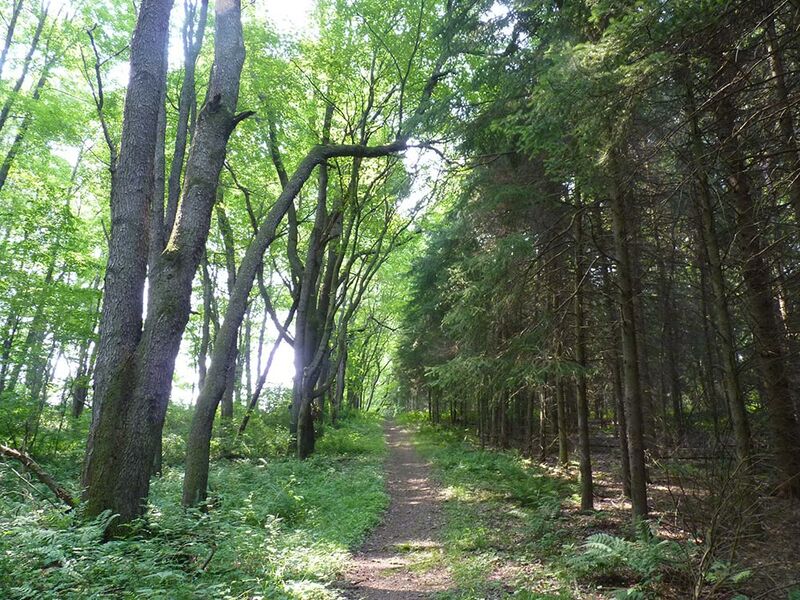 Part 1: Open up a sacred space: Open up a sacred grove in your tradition (if you don’t know how, there is an overview in this post). This typically involves cleansing the space, declaring your intent, declaring peace, drawing in the elements, and creating a protective circle or sphere. Next, invite anyone (spirits, guides, plants, elements, etc) into the space that you would like to come with you on your journey. Take all the time you need to do this; its important to have your spiritual support for this ritual. Rosemary, sacred plant ally, help us remember. Drink your rosemary tea and enjoy it throughout the rest of the ceremony. Part 3: Reflecting on your Journey. Now that you have everything arranged in chronological order, spend time reflecting on your journey. You might read selected entries from your journal. As you pick up each journal or object, hold it and speak of it or meditate upon it. Work your way through the entire “map” you created. Note anything “new” you realize or, just as importantly, insights you had forgotten about. Reading previous journal entries, I find, is really useful and helpful in this process–it lets me clearly see where I was and where I’m going next! Part 4: Deep insights. After your reflection, consider any major insights you have from the experience of creating your map and reflection. Write these down; these deep insights. These are the key lessons from you previous experience, and that which can follow you into the future. Part 5: The Journey to Come. Now, reflect on the next year to come. The Spring Equinox is a time of new beginnings and starting new things, so you might consider what you’d like to accomplish spiritually in this next year–get these down in writing and put them somewhere that you will see them often. Close out the Space. Thank Rosemary, thank those who you called, and close out the space. As an additional way to honor rosemary, you might consider growing a rosemary plant this year as a way of remembering the past journey and honoring the journey to come! This second reflective ritual is a great ritual for 2 or more people, and would be appropriate for a grove or even getting a few friends together. The amount of objects or journal entries shared largely depend on how many people you have in the group–obviously, 2-3 people can each share a lot more than 20 or 30 in a larger setting! You can also change the theme of the ritual: today’s ritual focuses on reflecting on past spiritual journeys, but you could have them reflect on gifts others have given, ancestors, favorite plants, etc. Memory/Storytelling Objects: Instruct each person who is coming to the ritual to bring objects or journal entries about key moments in their spiritual life. These should be objects that hold some significance to the person. Even in a larger group, if a person can’t share all that he/she/they brought, they can still have these objects with them–the selection process itself is sacred. Prepare an Altar Space: Create a large altar space, something that everyone can add their objects to during the ritual. A folding table with a nice tablecloth works great. Open up a sacred space: Open up a sacred space in whatever tradition you use. The Storytelling. Depending on the number of people, there are a few ways you can do this. With a small group, you might go around the circle, and each person talking about their key object they brought and telling their own story, and then adding it to the altar. With a much larger group, people could break into several groups, which would allow each person more time to tell their story. After the groups reconvene, they add their objects to the altar. Looking Forward: Each participant gets a sheet of paper and a pen, and then can write their spiritual goals for the coming year. The goals can be shared aloud if participants choose or simply kept quiet. Close out the space. Close out the space in your usual fashion. A final ritual you can do doesn’t use objects, but relies on the mind and memory itself. For this ritual, prepare the rosemary as described above and open the sacred space. Then, step back into the beginning of your spiritual journey–where you started in childhood, the different paths you took, and how, ultimately, you ended up here. Spend time reflecting and remembering each major step you took–and then reflect on things to come. This journey can take a lot of forms and end you up in really interesting places! There are a lot of variations you could do with these rituals, but I think the core ideas are there: spend time journeying into your past, integrating the many experiences that you have had, and then moving forward into the present so that you can fully make use of the amazing spiritual insights and lessons that you have gained. This technique is useful to you at *any stage* of your journey–and you get different things out of it. I remember the first year I did it–as a new druid–and reading my journals after just a year was incredible. Now, nearly 15 years in, its hard to believe how far I’ve come and exciting to think about where I’m heading next. May the blessings of the spring equinox be upon you! I think when we start talking about the present and the future of the world-its kind of like being inside Pandora’s Box. It seems that more and more reports come out, more and more news comes out, and the longer that things go on, we keep being surrounded by all the bad things. Ten or fifteen years ago, perhaps these things could be ignored. But today, I don’t think there is any more time for that. The reports, like the recent National Climate Assessment, don’t often offer a lot of solutions, just a lot of facts about where we are and the harsh present and even harsher future we face. The reports, combined with global inaction on issues of critical importance, the backpedaling by world leaders to set hard limits on carbon emissions, to stave off ecological collapse–we are in that Pandora’s box, the box full of bad things. I’m teaching a sustainability studies class for the first time in five years, and even among the young, 18-22 aged population, there is a considerable shift. When I taught a very similar course 5-7 years ago, students were upbeat and ready to engage. When I’m teaching it this term, students are less empowered, more quiet and somber. I think one of the most important things we can do as druids is maintain hope–hope about our own lives, hope about the future. Today’s post offers some tools: thinking tools, processing tools, and tools that offer us new perspectives and ways of engaging with today–in a way that empowers us, that gives us ways to act, and helps us get into a better space about it all, rathe than being demoralized about the future. If you haven’t read earlier posts in this series, you might want to do so to see where we’ve come from and where we are heading: druidry for the 21st century, druidry in the Anthropocene, and psychopoming the anthropocene. A framework that I think is really important for druidry and other action in the age of the Anthropocene is the Sphere of Influence vs. the Sphere of Concern tool. This framework is adapted from the work Seven Habits of Highly Effective People, but I think its a *really* useful tool for personal empowerment and hope in the Anthropocene. The graphic below shows the difference between a person’s circle of concern (which could be global and long-term) vs. a person’s circle of influence (which is local and immediate). Your Sphere of Concern is what you are concerned about–and often, due to media and the Internet, this is often global. For all of the potential benefits that a globalized world may offer, it creates an enormous sphere of concern, which given the world’s predicament, is psychologically really challenging. News is almost always outside of our Sphere of Influence, but exposure to the news encourages us to have a huge Sphere of Concern. We have very little power to leverage change in systems that are large and distant–cutting down of rainforests, the plight of polar bears or whales. This creates a sense of general disempowerment, which can lead to apathy or frustration. However, before modern globalization, people mostly were concerned with what was around them. News was local and quick, news from afar took a lot of time to arrive, if it arrived at all. Local concerns were often able to be acted on by local people. One’s sphere of concern was probably a lot smaller–likely, for many, within one’s sphere of influence. Today, despite many of us having an enormous Sphere of Concern, we have a fairly limited Sphere of Influence. A Sphere of influence is what you have power to control: and this usually revolves around the spaces we find ourselves in frequently: our homes, our daily lives, our workplaces, our communities, our local governments, our families, our spaces where we spend time. When we are bombarded by news from Pandora’s box, we feel powerless because the things we want to change, the big things, are not really changable by individuals (they can be changed by collective action). I think it’s really important to frame these things when we are talking about hope and change over time. This framework offers us a powerful thinking tool: recognizing the difference between our Sphere of Influence and our Sphere of Concern (and maybe, making modifications so that our Sphere of concern is closer to our sphere of influence–that which we can control). I have found that using this framework helps give me a better sense of where I should invest my energy and time: in those things that I have influence over, in those things where my efforts will produce results. As I shared in the first post on this series, the reality of the Anthropocene can be overwhelming, intimidating, or even cause distance and withdrawal, apathy. Joanna Macy’s beautiful work Coming Back to Life offers a lot of discussion of the importance of not letting ourselves get into an apathetic or disempowered state. Apathy is the root of disengagement, and we need people in this day and age ready to engage and face some of these challenges. Everything that is happening in the world, like climate change, is really hard. I’d argue it’s doubly hard for druids who really love land because we hold the land sacred, and so much of it is under threat. People have different emotional responses to what is happening, but one of the most common and destructive is apathy–trying not to feel, because feeling is too hard. Ignoring it, not letting ourselves feel. Given this, if we are going to return to feeling things about the world and the future, we need good spaces to process our feelings, safe spaces. We can do this in the context of our spiritual practices, like druidry. Once we’ve dealt with some of these feelings, we can move forward with actions and empowerment–we can turn our own lives and influence the lives of others into creating the present and future we want to see. We can offer hope. Macy’s book offers a number of rituals for individuals and groups that allow us to give voice to feelings, to process our feelings, and allow us space to move forward. One of her rituals which works particularly well in a druid setting is called the Council of All Beings. Beings help us process and give voice to what is happening now. This is a particularly powerful ritual where people prepare to speak on behalf of animals, plants, and natural features and give them voice, while others take turns listening as humans. Another one of Macy’s rituals that we’ve adapted for druid ritual work is a 7 generations ritual. People form two circles. The ones on the outside are today’s humans. The humans on the inside are future humans, 7 generations from now. Today’s humans speak about everything they are concerned about; the future humans listen, and then, offer hope. It is a very powerful way to process and think about what is happening now. This kind of processing can also take place in the context of spiritual practice: talking through things with others, engaging in regular spiritual journaling, and discursive meditation are all ways that we can process emotions. I think the key thing here is recognizing if we are going to be effective and productive, we need emotional processing tools–we need to recognize that these feelings are important and necessary, and we need to work with our emotions regularly. Now that we’ve considered thinking tools and emotional processing tools, we can come to tools for action. There are lots of tools out there that encourage us towards various kinds of action; my tool of choice is permaculture. Permaculture offers a complete system of planning and action; it is a design system that teaches us to use nature, and work with nature, to regenerate and build ecosystems, gardens, and communities. Through three powerful ethics (people care, earth care, and fair share), design principles, and an emphasis on ecologically-rooted techniques, I think tools like permaculture can help us go from thinking about a problem to action. One of the most important philosophies in permaculture is that humans can be a force for good (not just harm) and that we can always leave a piece of land in better shape than we’ve found it. I’ve written pretty extensively about permaculture on this blog. For an introduction to permaculture ethics, see here. For the principles of permaculture, see here, here, and here. For background on permaculture and ways of thinking about it, see here and here. . For an example of how permaculture can be used in urban and suburban areas, see here, here and here. For an example of a five-year permaculture design on my old homestead, see here. Books I recommend are Gaia’s Garden by Toby Hemingway and Rosemary Marrow’s Earth User’s Guide to Permaculture. You can do a free online permaculture design certificate, which will immerse you in many good things, through https://openpermaculture.com/. There are lots of other ways to learn–check it out! When I did my permaculture design certificate in 2015, which I did through Sowing Solutions at Sirius Ecovillage in Massachusetts, I had already been practicing permaculture for many years. The PDC helped me really leverage a lot of skills I picked up here and there into a cohesive whole and gave me the design skills to really plan and execute a variety of projects. More importantly though, it empowered me. It was probably one of the most empowering things I ever did. It gave me hope, it gave me real tools, and it showed me that the solutions to many problems were right in my hands (the problem is the solution is a permaculture principle). If everyone practiced permaculture, we’d have a very, very different world. The last few weeks have explored a lot of topics with regards to Druidry for the 21st century. Not all of it has been particularly easy to digest or think about, but I think if we are going to practice nature spirituality in the age of the Anthropocene, it is necessary for us to have these kinds of conversations. I will keep returning to this topic throughout the year! I hope this series has given you some food for thought, if nothing else–and some tools for empowerment and change. The landscape waits, with bated breath, for the warmth to finally arrive. The last two months have been unseasonably cold, and the longer that time passes, more anticipation is present in the air. 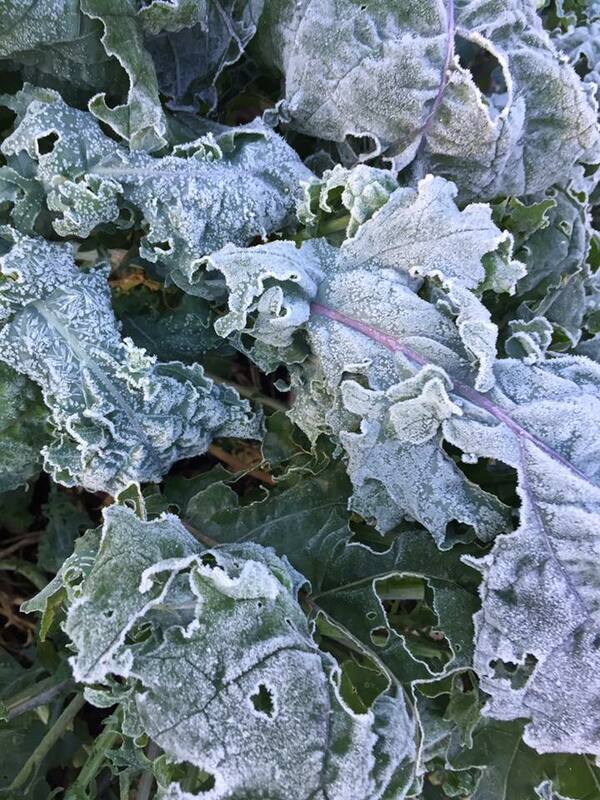 The plants and buds swell, but are unwilling to come out while the temperatures still go into the teens at night. At Imbolc, Punxsutawney Phil, our local divination oracle, predicted six weeks of winter, but in truth, winter has turned from 6 weeks more, to 12 weeks more, and now almost to 18. Just two days ago, the weather broke, and it seems that spring is finally in the air. Here at the homestead, we are all growing weary. Each morning, my cat Acorn runs to the door, ready to go outside and explore. When I open the door for her, a breath of cold air hits her face and she recoils back into the warm house. She looks up at me with a look: “fix this, human.” I laugh and tell her that we are all waiting for the warmth come and to stay–the trees, the river, the cats, and certainly, the humans. The humans in the area are running out of wood and fuel, and this situation is certainly causing financial strain for many winter drags on. Even someone such as myself, who revels and glories in the winter and the snow, has a limit–and I think I passed it as we moved into April and the cold and snow showed no signs of breaking. Itching to be in the garden and in my kayak, itching for the spring to finally arrive. Still, the dark and cold of late winter and early spring offers a number of healing lessons, which we’ll explore today. This is my “diary of a land healer series”, where, once a month I write about and document the changes on the landscape here at my home as I collaborate with the land for healing and regeneration. These are in-progress thoughts as the seasons go on. You can read the first two entries here: January and February. This unseasonably cold spring offers a number of powerful lessons. The first is in studying people’s reactions to the cold vs. the land’s reactions to the cold. 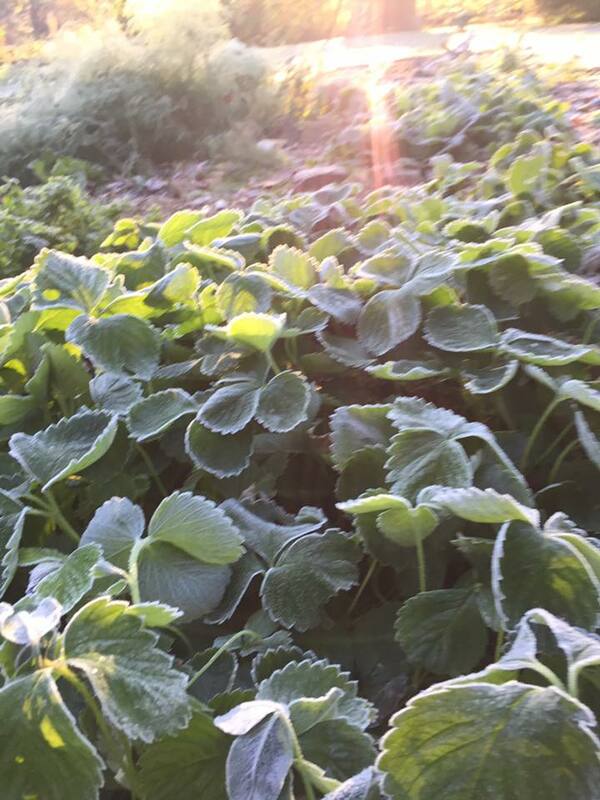 Humans have grown to expect predictable certainty; the certainty of the seasons coming on a schedule that we could depend on, the certainty of USDA zones and last frost dates. But that’s not what this planet can offer us anymore. Predictable certainty says that by mid April, we “should be” firmly in the spring months. There “should be” buds and flowers. There “should be” warmth. But climate change prediction models say otherwise–the East Coast of the USA, where I live, is likely to see shorter springs and longer winters, particularly as the jet stream continues to shift. The truth is that spring will come, but it may take longer than any of us would like. Spring will come and frost will come, and summer and fall will also come–but no longer on predictable schedules. The daffodils understand this–they simply wait. The animals and insects understand this–they wait. The flowers and seeds understand this–they, too, wait. It seems that the bulk of nature here on this land has less of a problem waiting and adapting to the changing and unpredictable climate–but humans certainly do. I have found that there are a few things we can do to acclimate. First, I have found it helpful to stop thinking in terms of “should be’s” and start thinking in terms of resiliency. Resiliency is the capacity to endure, to adapt, and to be ready for anything. I’ve worked hard to this in this extended winter season to do so, knowing that each year will be less and less predictable than the last. From a gardening perspective, this means planning for these climate extremes. One of my favorite gardening books, Carol Deppe’s The Resilient Gardener tackles this exact issue–she suggests we plant and plan gardens with the understanding that climate unpredictability and uncertainty will happen. A resilent garden is not surprised when it takes till June to get warmth, or when it warms up in February–plans are in place for both situations. Also, using equipment to mitigate tempreature extremes can also help us be resilent gardeners, things like greenhouses, hoop houses. Planting polycultures of many species rather than monocultures of a single species, too, helps the ecosystem adapt and thrive and all of us become a bit more resilient. In our broader culture, however, this same unpredictability and need for resiliency is unfortunately very present. I think that a lot of us are having a hard time with this extended winter season because of the state of the world and the political turmoil we face, particularly those of us living in the current political climate in the USA. We are so tired of the cold, and yet the cold keeps coming. We are so tired of all of the ridiculous drama, the media fiascos, the lack of integrity in leadership. There is not a single person I know that isn’t weary, and the dark in the cold winter months, especially as spring just doesn’t seem to come, are a reflection of what we experience culturally. But this same lesson that nature provides us concerning resiliency is also meaningful: learn to live with the unpredictability and find ways of adapting to that which we cannot control, just like the ecosystem does. I wrote about a few druid-influenced strategies to do this here. And yet, the promise of spring is still in the air. 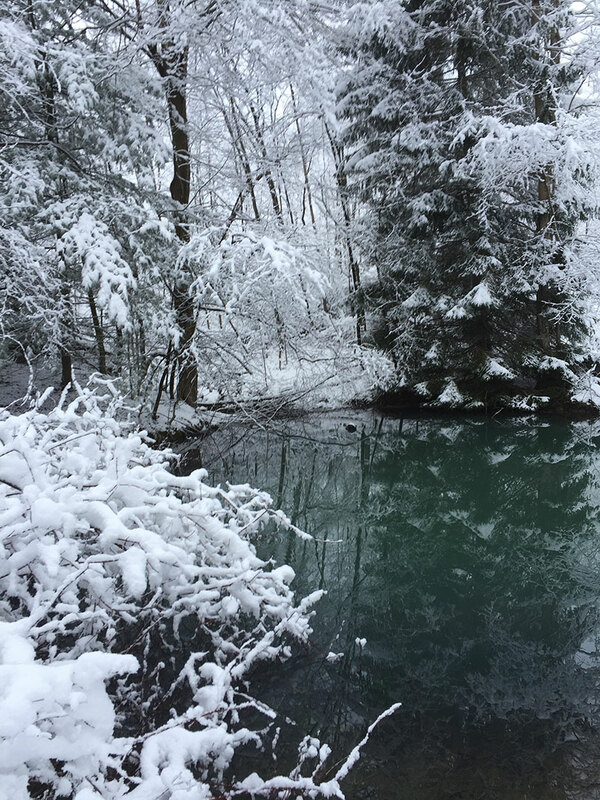 Despite the snowfall last week that blanketed the ground with eight inches and then melted by midday–adaptation and resiliency is the lesson here. The only constant is that change happens, sometimes good, sometimes bad, but always change. Living here on this land teaches me that, despite the cold, spring will return again. During our extended winter season, I’ve also been taking a lot of time to reflect on the journey that brought me to this land, to be here and present. Late winter/early spring is a useful time for reflection. 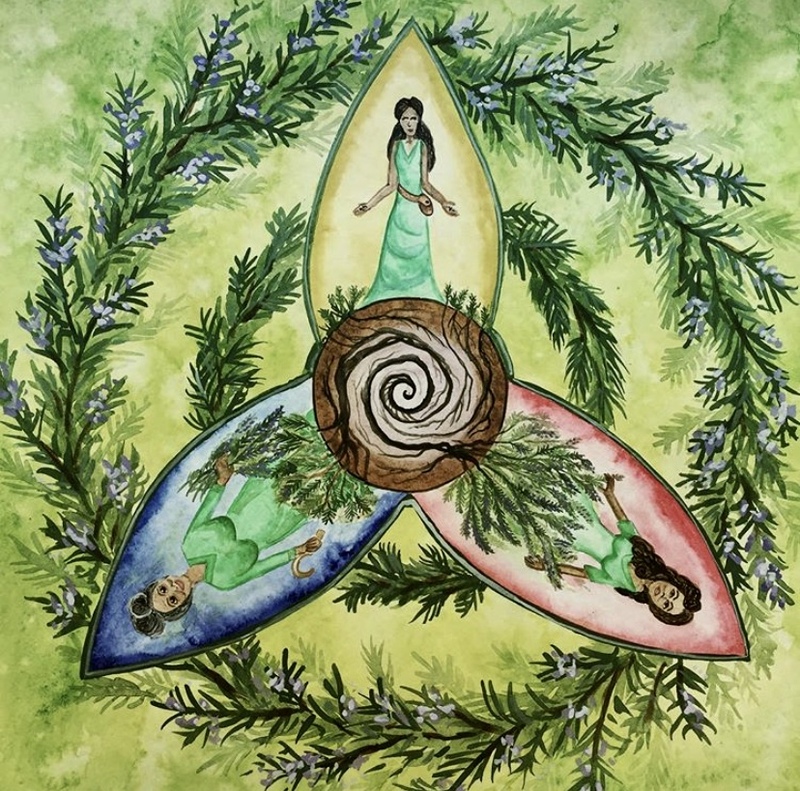 I begin my druid your journey 12 years ago on the spring equinox, and every year on the equinox, I take some time to reflect back on that journey by reading my old journals. What strikes me about the last year of this journey is that I finally faced a lot of my fears. I face the fear of being alone, and the fear of feeling I wasn’t good enough if I wasn’t doing it all. I faced the fact that just like the land, I have limits and they are important to recognize. The land speaks to this lesson: this land here, and all land, and our entire planet, has a certain carrying capacity. This carrying capacity is what the land can support: how many humans, how many plants, how many trees, and so forth. There are limits to how much abundance it can produce, how many mouths it can feed, and so forth. The land here is a powerful lesson in this: my current land is at a severely diminished carrying capacity for several reasons: a large swath of lawn which produces no food or habitat (soon to be transformed into gardens), a damged forest due to sustainable logging (which I spoke about more in January’s post in this series). As I wrote about in this series in January, I can see this diminished carrying capacity in people who have been the victims of trauma and pain–we can no longer offer as much light to the world. Like the land here, we need time to heal and grow. Humans in Westernized society don’t like the word “limit”; we see it as something negative, something to overcome and break through. But that’s not the way nature works–we live on a finite planet with resources that are growing more scarce. Our land has her limits. This land, here, also has her limits–five acres can only produce so much. But the more that we learn to work with her, rather than against her, the more that we can think about that carrying capacity as a good thing–and work to increase the damage that has been done to so much of our land. Here, in a few short years, through the collaboration of humans and nature to regenerate and heal this ecosystem, the land will become an abundant place with regenerated ecosystems and a much higher carrying capacity. She will still have limits, although she will be used to her full capacity and bursting with life. 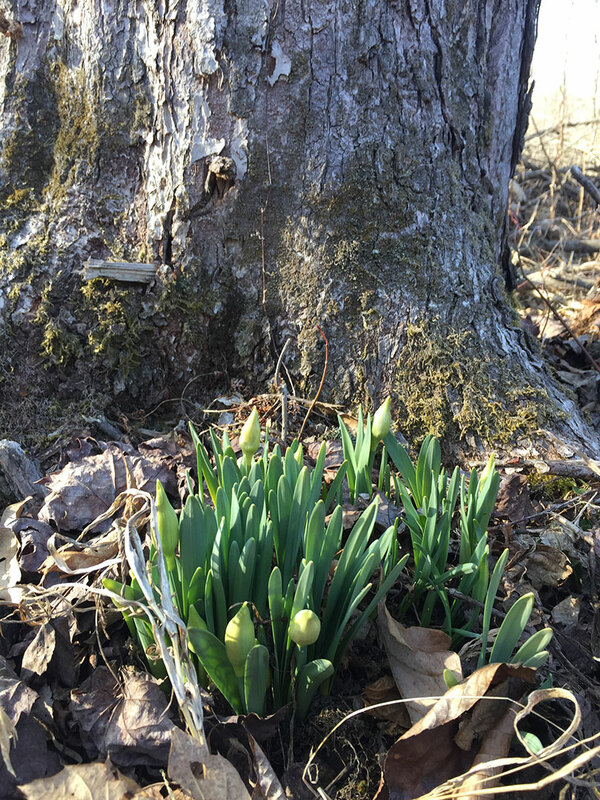 We’ve been talking on this blog before about growing where you’re planted, and I really like that metaphor for this time of year becuase of the early spring flowers. 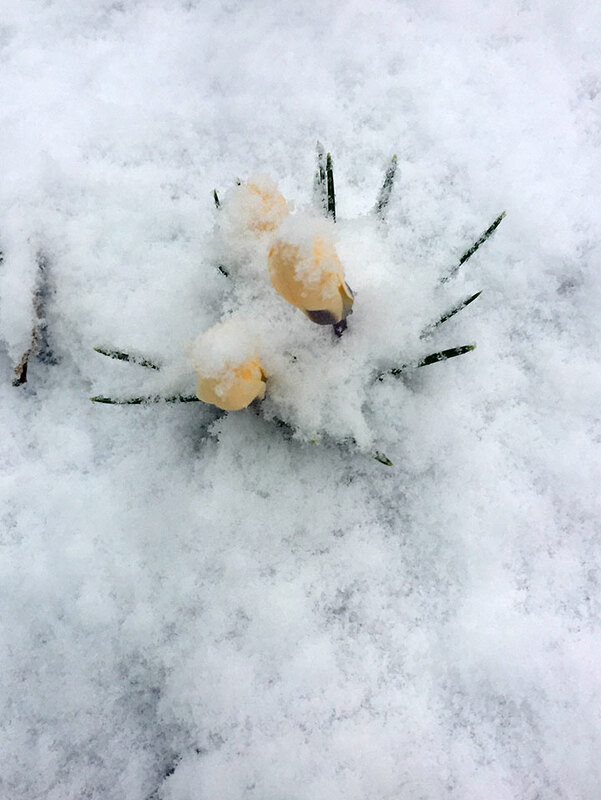 While the temperatures remained cold, the daffodil buds swollen but closed, waiting to emerge. I kept visiting them, and they kept saying to me, “not yet.” As soon as the temperature hit 70 this past Friday, the daffodils knew the time had come and they all burst forth. 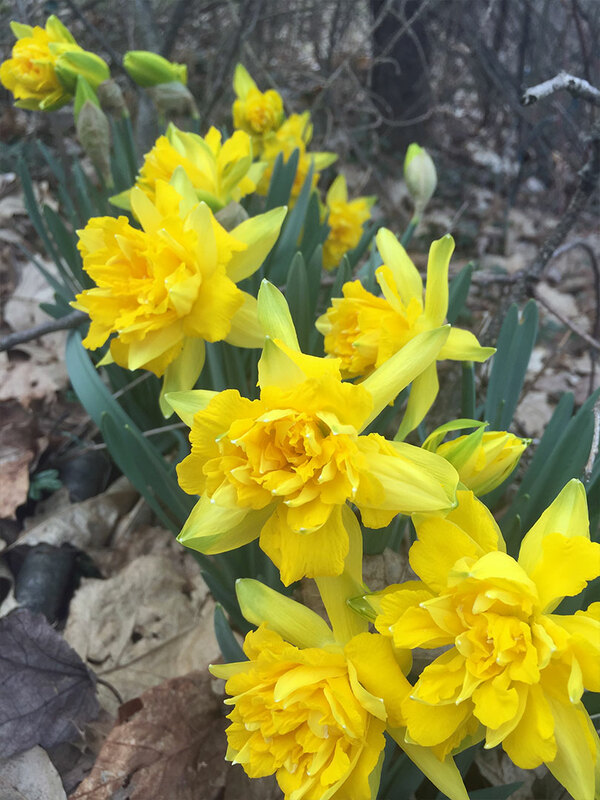 As I walk among the blooming daffodils, they offer us a lesson of hope. On this land, the patches of daffodils are all through the forest floor in the woods, even along the floodplane and right next to the stream (which I wrote about in February’s entry). This afternoon, they are calling for almost 2″ of rain, and these big patches of blooming daffodils may end up underwater as the floods come again. Given the size of the patches of daffodios, I know that if the waters come up, these daffodils will endure–they will just go under until the waters receed again. The daffodils are opportunists and offer lessons in adaptation. Even the dead husks of the plants from the previous season, however, offer promise. Another exciting find on a recent walk was the dead stalks of dogbane, it is a kind of milkweed that is used for cordage and is well loved by bees and butterflies. I harvested a number of the dead stalks from last season, spreading the seeds all along the field. As I harvest the stalks, I spread the seeds encouraging this patch to grow even more abundant than it already has been. Finding the dogbane offers a wonderful reminder that nature keeps on giving, even when it appears like the land is barren. In fact, this time of year is a perfect time to harvest dogbane–a wonderful natural crafting material (I’ll share more about this in an upcoming post). What appeared to be a barren and snowy field has much to offer, for those with eyes to see. I know that things will start to move quickly now that the warmth is coming back into the world. In the last few days, it feels like spring is finally in the air. The land will grow and heal, and each day new blessings await. I am thankful for the lessons of resiliency, carrying capacity, daffodils and dogbane, and am once again grateful to be in the light half of the year.